When a family falls apart there are painful ripples but you can also find unexpected blessings in their wake. That’s the story of my half-sisters and I – we each grew up without a sister and we were excited to be sisters in adult life. I was a baby when my oldest sister Julie came into my life, but being 21 years older she was more like an aunt during my childhood. Actually – I didn’t know that she was my sister until I was about 9 years old when I tried to tactfully ask who this cool lady was that kept visiting. Until the moment I was told that she was my sister and that I had other siblings, I had been an only child. I was both stunned and overjoyed! It was an amazing day when all three of us half-sisters were finally able to meet in person. I’ve seen quotes like “Friends are the family you choose.” We sisters were both related by blood and by choice. We eventually developed a group text chat where we always greeted each other as “sister” instead of by name – “Hey big sis!” “Hey little sis!” – as if each greeting was a celebration of our relatedness. Having just lost Julie, I’m profoundly grateful for the relationship we chose to have and her generous and loving spirit that was the primary mover in our sisterhood. Tonight a fiery sunset greeted me as I arrived home from attending Julie’s memorial service in Murrells Inlet. I couldn’t help but imagine her as part of that sunset because she was such a bright burning soul right to the end of her fight with cancer and release from her suffering. My experience of her as a special soul was only reinforced by the stories shared by friends and family as we watched the images of Julie’s life flash by across the screen. A repeated theme was what a joy Julie was to be around and her amazing positive attitude, never focusing on what she was going through in the many years since her diagnosis. 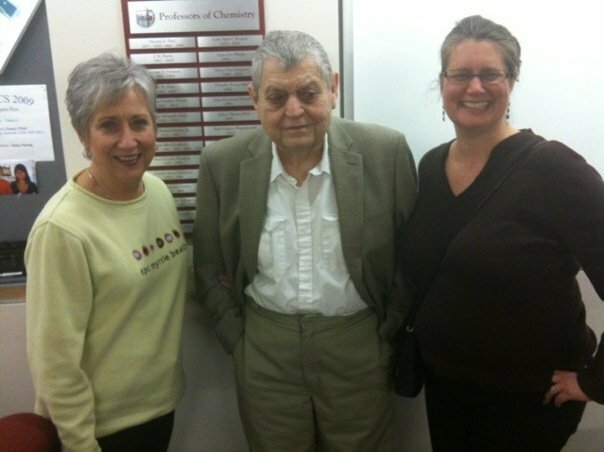 The only other day the three of us sisters were all together in person was in 2010 at our father’s funeral where Julie quietly shared her diagnosis with us. The image of the three of us circled in hushed discussion is one of the few clear memories I have of that day. She then asked me to take over visiting our oldest brother Burrell while she was being treated for cancer. She had become his guardian when her mother was no longer able to maintain that role. My time visiting him was another unexpected blessing. I am an intense woman. My Soul longs for deeply spiritual, thought-provoking, and profoundly transformational conversations with others seeking meaning and purpose in today’s rapidly changing world. A retired aerospace and telecommunications lobbyist, I now focus on spiritual writing and activism. I am happily married, have 2 wonderful children, 3 adorable grandchildren, and 2 lovable and very active granddogs. My cancer story unfolded in most unexpected ways. April 7, 2010 my father died; April 8 I was diagnosed with ovarian cancer. What emerged from this painful sequence of events was unexpected and extraordinary. What emerged was a love affair with my family and friends. I used to think the Internet impersonal; now I know intimacy can be created anywhere. Intimacy is created by the intention of the writer to connect just for a moment…and to have that moment make a difference. Below is a copy of a year long webpage from CaringBridge.com journaling my experience with ovarian cancer and ultimately—recreating wellness. I share this with the intention of contributing to others in their journey with a life threatening illness. P.S. A friend created the CaringBridge webpage to keep my family and friends informed on the status of my health. I took over the writing as my health improved. The act of writing and receiving notes from so many turned the webpage into a true lifeline. As I connected, I healed. Prayers, good doctors, family, friends, and self-expression appear to have been the right combination for me. Who made the world? / Who made the swan, and the black bear? / Who made the grasshopper? / This grasshopper, I mean — / the one who has flung herself out of the grass, / the one who is eating sugar out of my hand, / who is moving her jaws back and forth instead of up and down — / who is gazing around with her enormous and complicated eyes. / Now she lifts her pale forearms and thoroughly washes her face. / Now she snaps her wings open, and floats away. / I don’t know exactly what a prayer is. / I do know how to pay attention, how to fall down / into the grass, how to kneel down in the grass, / how to be idle and blessed, how to stroll through the fields, / which is what I have been doing all day. / Tell me, what else should I have done? / Doesn’t everything die at last, and too soon? / Tell me, what is it you plan to do / with your one wild and precious life? How extraordinarily beautiful. My condolences, Pamela. Your words make me wish I had been able to meet Julie. You were blessed to be in each other’s lives. Thank you, Pamela, for helping us to know Julie’s beautiful soul. I’m sorry I never got to meet her. I know I would have loved her…. Shelley B. Thanks Shelley. I would love for you to have met her too. As others have said here, I wish I could have known her, too. I knew of your sisters, but never really understood how much they meant to you until this writing. I am so sorry for your loss. May your good memories and the strength you gain from her carry you through this time. Hugs & love to you… And, of course, I was saddened over Mary Oliver’s passing as well. Thanks Angelina, I’m so glad that I had the opportunity to share Julie in a small way here. And Mary Oliver too. I like to think that they have met now and are having spirited discussions about the answers to the spiritual questions they both wrestled with in this world.